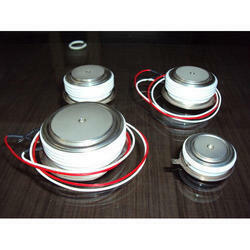 Prominent & Leading Wholesale Trader from Mumbai, we offer thyristors. We provide one of the most comprehensive ranges of standard phase control & Inverter grade Thyristors & Diodes in the industry. Westcode is a leading supplier of phase control products into demanding markets such as industrial DC/AC drives, Induction melting, Marine/rail propulsion systems, wind power converters, Electrochemical power supplies and soft starters.